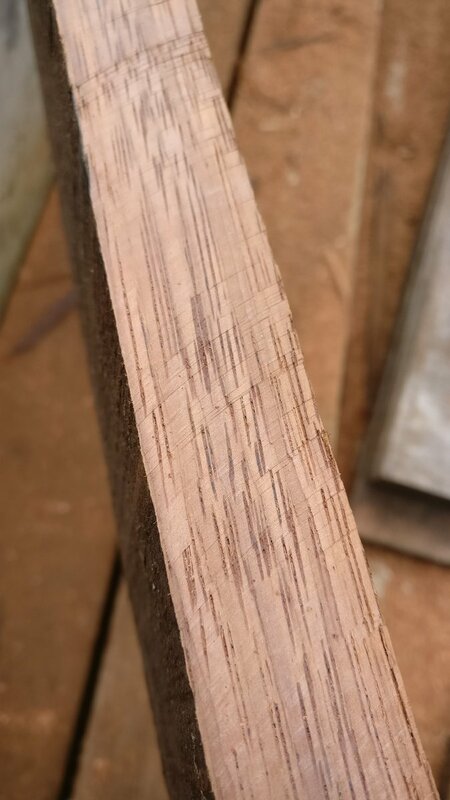 I've been researching what's required to restore some old decking that I have a decent quantity of. Thought I'd post up here in case anyone has 2c to add. I'm not even sure what exactly the timber is. I suspect there's two types mixed up in the packet. All will become clear soon! The other thing is, the stuff on some of it is soft enough to scrape off with your finger nails, so I might give it a gentle blast to get the loose stuff off first. I already had the oxalic acid, so last night I ordered 5kg of sodium percarbonate to go with it. Yet to select an oil/stain or buy that, however it's coming soon! 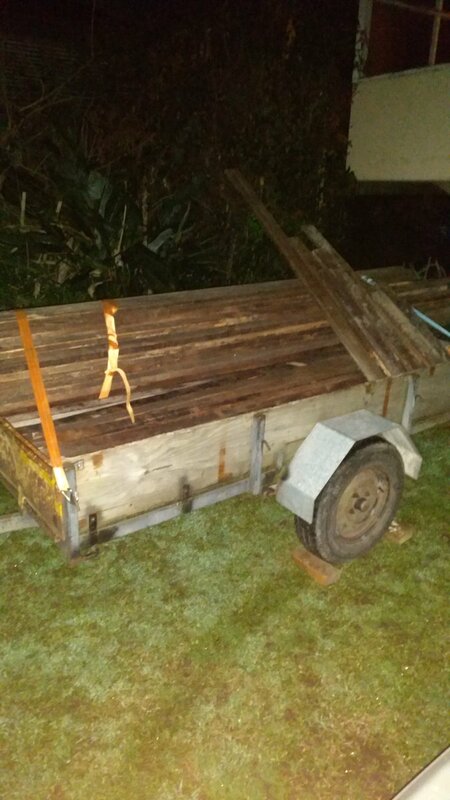 Ideally I need to have all the wood treated to the end of the process and loaded on my trailer by Friday night this coming week. Don't have a good strategy in mind for cleaning all four faces of the timber efficiently, either. Was thinking of just laying them on the ground tightly spaced and doing one side/face at a time in sets, then turning and repeat. 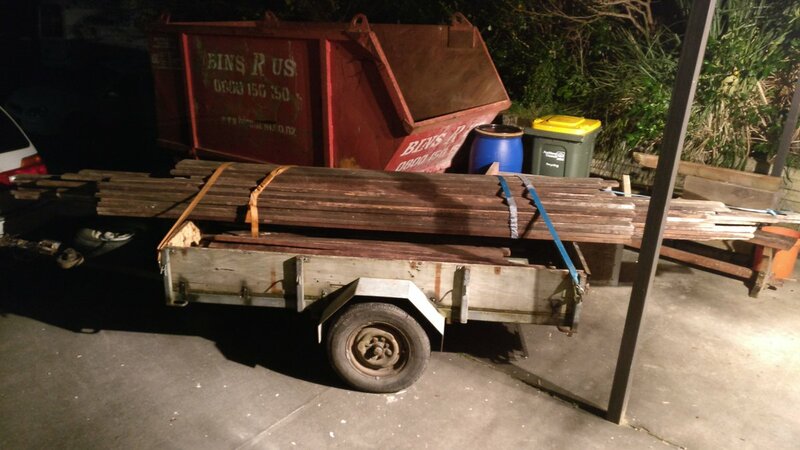 Goal is to prepare the timber for use on a small deck for a small 10sqm cabin my wife and I are going to build, and then get it stored on site ready for use. Initial requirement is to have it out of my sister's garage by the end of August, so we're well on target for that, at least. 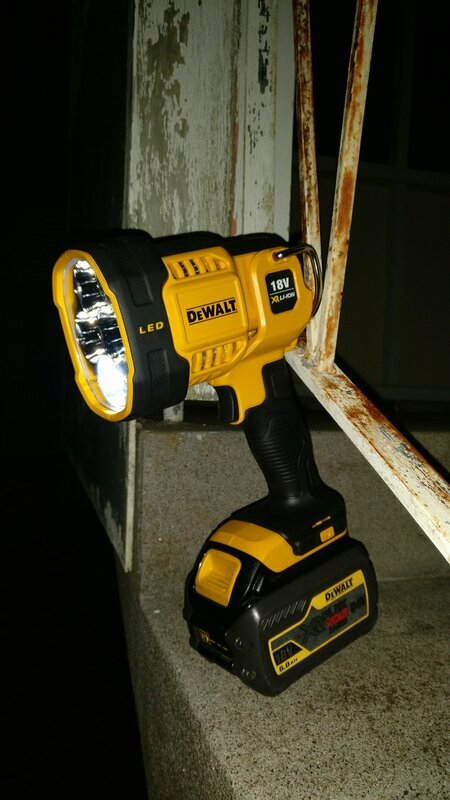 The quality varies from piece to piece and end to end, some parts have clearly been sheltered, and other parts clearly constantly wet and deteriorated. Hard to tell while it's like it is, should be obvious once the water blaster has had its way - any bits too far gone can be trimmed/discarded. Might go with about 75g/litre and see how that goes - I have 5kg on the way, so enough to make 33 litres in saturated form. 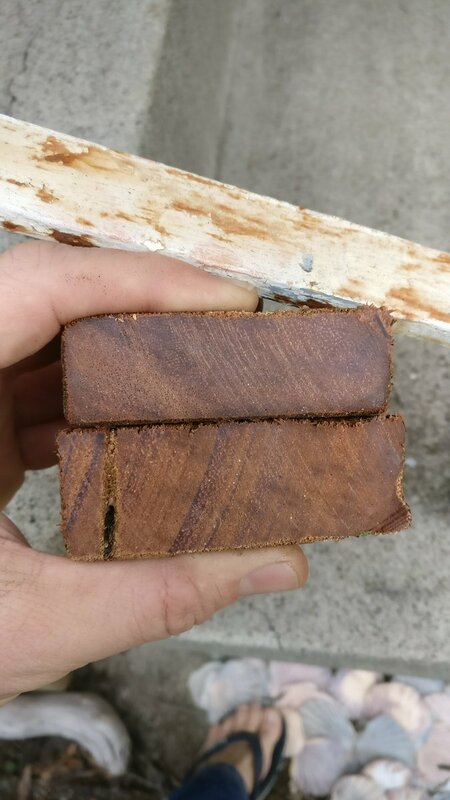 Have more photos to put in here, but for now, just dropping by to check on chemicals and mention that I chopped a bunch of the worst bits into firewood the other night. The rest today, then chemical treatment and water blasting, maybe some sanding, possibly some corner radiusing or beveling, and then some natural decking oil likely from cabots. Sometimes it turns out really way, to have this habit on not throwing anything away. I've never worked with chemicals on wood though, so I can't help you very much. 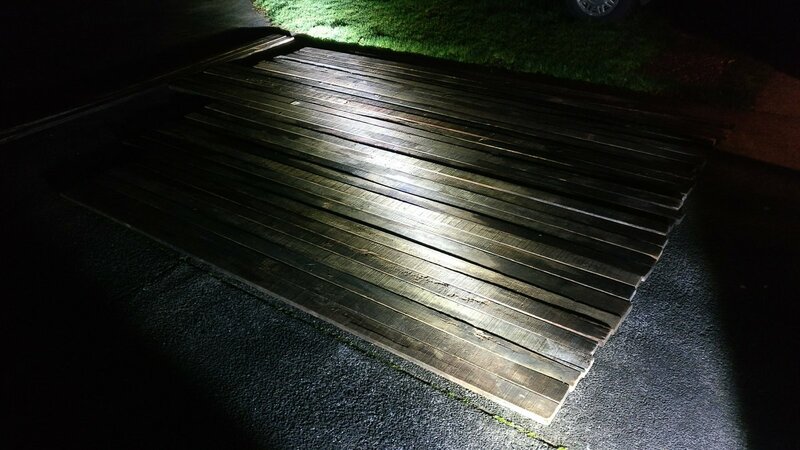 The way I probably would have treated a stack of old boards for this use would've been cleaning them with a pressure washer too, then figure out a way to even them in thickness. In my case I probably would've went to my old neighbour the carpenter with the appropriate machine (planer? "Dickenhobel"). I realise that's the most luxurious way to handle it. 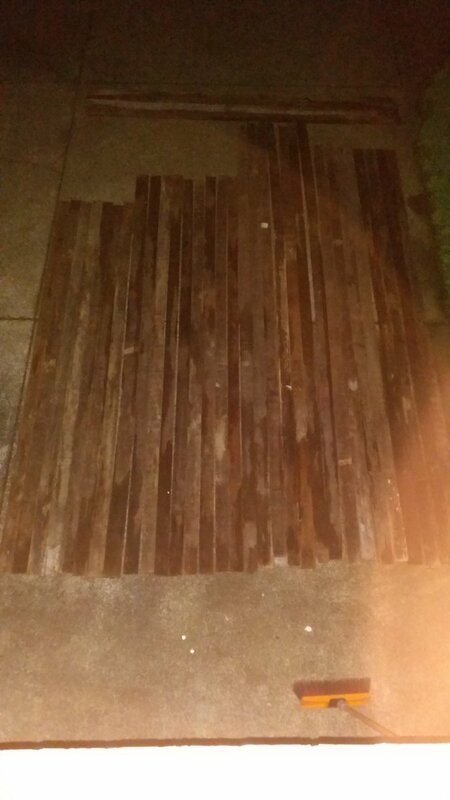 If I went for a more rustical look (maybe even mounted with 1-2 cm wide gaps between boards) for the deck, I probably would've went over the visible surface with a belt sander. Then I'd check out how that holds up over time. If not so well, I imagine re-sanding the mounted deck and figure out another, probably more expensive choice. Forgot: Of course if you want to preserve the "structural" "patina", a belt sander is no option. In that case, there's this awesome machine that uses a very wide wire wheel (see Makita 9741). Sorry for the "I want"-reflex. I don't have one either. Man, I'm behind on updates in this thread, too busy doing the work! :-D Started writing some stuff up last night, got tired, laid on the floor between heater and couch, next thing wife was "come to bed, it's late" ie, 1am. Oops. Work done, updates not. 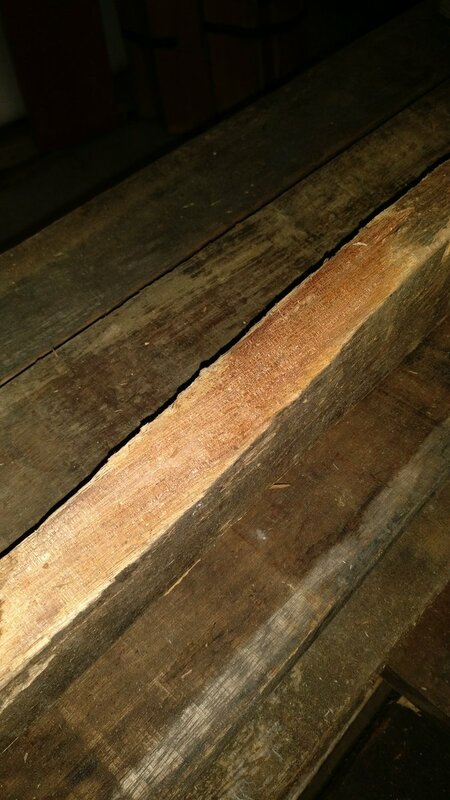 Sadly, I took the cutthroat approach and destroyed a lot of salvageable-with-hard-work timber yesterday. 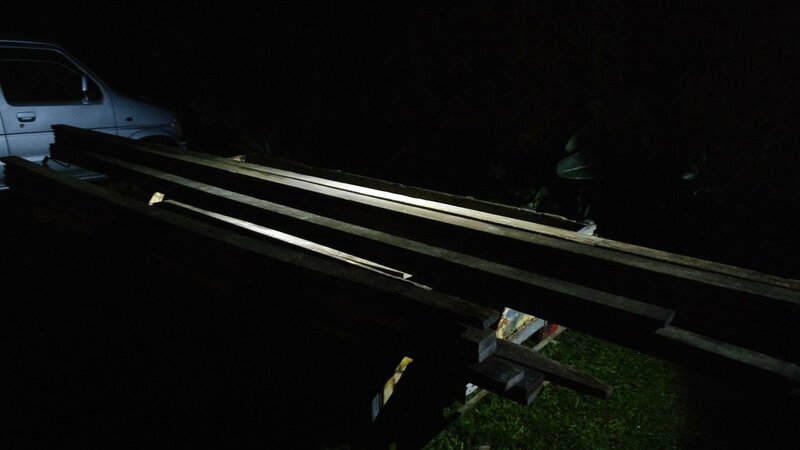 It was either decayed too deep so as to not be useful for decking and would need machining (thicknesser is the tool you're after, big table plane with top guide), or split such that water had gotten inside and decayed down the cracks, too. 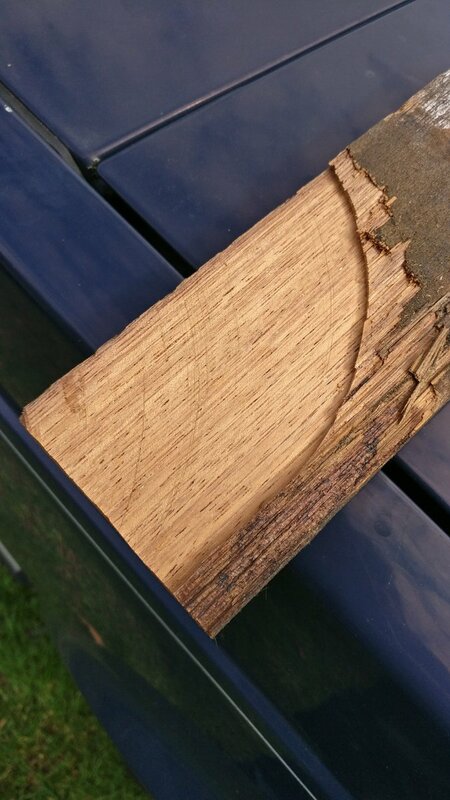 Nice wood, but not kiwi native, and not nice enough to warrant work salvaging it. Maybe lost about 1/3 - about what I expected. 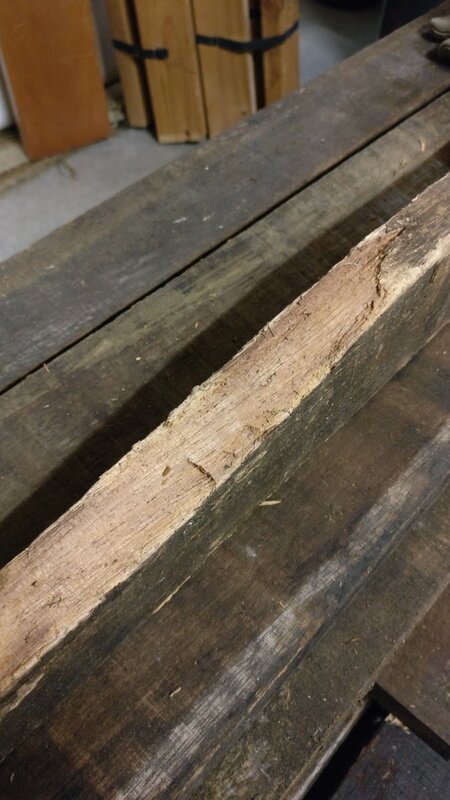 Goal is not patina, it's new look and hard wearing, so the soft decayed surface has to go on the top sides at least. Underneath it'd still be better gone as it's just a sponge for water and decay, but soaked with enough oil, it's probably not overly important. I may end up running it through a thicknesser, we'll see how today goes. Been soaking for 35 minutes now, a few mists of water to stop it drying, and a prewet with the hose before spraying. Coverage was 1.5l to 7.2sqm or a little over 200ml per square meter, on average. Going out to waterblast the top surface off, then flip and repeat. Guess I should pre-measure and start dissolving the next batch first.